Founder and former CEO of Jamdat Mobile Mitch Lasky, now a partner at Benchmark Capital, is putting a $7 million vote of confidence behind a new game company, Riot Games, headed up by CEO Brandon Beck and president Mark Merrill. Making me feel like a total slouch, by the way, because at age 26 and 27 respectively, my age peers Beck and Merrill are heading up a multimillion-dollar company. Lasky, Beck and Merrill unveiled the venture this morning, and announced they've accumulated some industry vets for their studio talent, with "core members" of Ultima Online, Dungeon Siege, Jak & Daxter, Heroes of Might & Magic, Neverwinter Nights 2, Sly Cooper and Total Annihilation's teams, among others. You may, by now, be a little jaded at yet another announcement of a venture capital-funded online games startup, but when Kotaku talked to Lasky, Beck and Merrill yesterday, they had some things to tell us about how they plan to shake things up. "I think what was refreshing from our point of view about their approach was both a real awareness of serving a particular consumer... serving an audience that is not the sort of moms and '15-54 year-olds' that the casual games companies are focusing on," said Lasky. "They've got a very specific community that they're targeting that plays a certain kind of gameplay pattern very aggressively... there's focus on an almost core audience with their products." Riot hasn't announced its first product yet, but CEO Beck gave us a few hints. "There's a fundamental appetite out there for online game experiences that are not your typical 'casual game'... that's richer than the typical casual game experience but not as deep or as time-intensive as some of the front-line MMOs that appeal to the core or mid-core gamer," he said. When we asked the team to define the "certain kind of gameplay pattern" to which Lasky referred earlier, Beck was willing to elaborate a little on their target audience: "Online, competitive gamers," he said. "There's a particular gameplay style and pattern that we're creating that is exciting, innovative, [focuses on] replayability, and from a philosophical perspective we want to create games... that are simple to learn but difficult to master, where the depth comes in from the amounts of rich content... and from emergent gameplay," said Beck. For example, "Rather than being Half Life 2, we want to be Counter-Strike," he said. 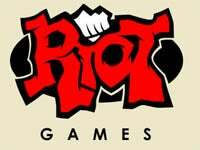 LOS ANGELES-July 10, 2008- Riot Games has secured a $7M round of funding from Benchmark Capital and FirstMark Capital to finance development of its first title. Riot's development is fueled by the passion of its founders, Brandon Beck, CEO, and Marc Merrill, President and Chief Marketing Officer. The two have brought together respected industry veterans, creating a leading edge development studio comprised of core members of the teams behind some of the industry's most popular titles, including Ultima Online, Dungeon Siege, Jak & Dexter, Heroes of Might & Magic, Neverwinter Nights 2, Sly Cooper, Total Annihilation and many more. The world-class team is already at work, building the company's soon-to-be announced title on Riot's robust technology platform. Riot's board of directors welcomes games industry veteran Mitch Lasky, a partner at Benchmark Capital, and Rick Heitzmann, a partner at FirstMark Capital. Lasky is the former founder & CEO of JAMDAT, former EVP of Online & Mobile at Electronic Arts and former head of Worldwide Studios for Activision. Heitzmann brings more than 10 years of entrepreneurship, operating and investing experience as an investor and board member of consumer technology emerging companies including Live Gamer, weplay and Clickable. "The online game industry is ripe for new ways to bring products to market and new ways to acquire customers," said Mitch Lasky, partner at Benchmark Capital. "Riot's unique approach to building customer relationships and its innovative content strategy will make Riot an online publisher to watch." Riot Games is the brainchild of Beck, 26, and Merrill, 27. Beck was formerly a consultant at leading global business and strategy consulting firm Bain & Company, where he specialized in media, entertainment and private equity; Merrill previously managed corporate marketing at Advanstar Communications, one of the largest business to business media companies in the US. The two founders bring to the company the unique combination of an authentic love for games and business savvy. "Tremendous opportunities continue to emerge in the online games industry as distribution and business models evolve," said Brandon Beck, CEO, Riot Games. "As independent, direct-to-consumer developers with the vision of treating games as services, we are focused on delivering first-rate game experiences to highly targeted online audiences." Riot's titles will combine premium online multiplayer session-based games with best-of-breed online services, powered by the company's own leading technology platform. Beck and Merrill plan for the Riot platform to provide robust community services that surpass the current industry standard in tools such as matchmaking, stat-tracking, ladders and more. "Online gamers are not shy about asking for what they want," Marc Merrill, president and CMO, commented. "Riot is responding with a commitment to creating premium titles that focus on gameplay and replayability in order to build deep, ongoing relationships with gamer communities." Riot Games will announce the details of their first title later this year. Benchmark Capital, a leading venture capital firm, was founded in 1995 to help talented entrepreneurs with original ideas build successful technology companies. Benchmark's general partners take a team-oriented, labor-intensive approach to venture investing to deliver a superior level of service to the firm's portfolio companies. Benchmark's portfolio includes high-profile start-ups like Infinera, MySQL, OpenTable, Second Life, Tellme, Yelp, and Zillow, and franchise companies such as eBay, Juniper Networks and Red Hat. The firm manages nearly $2.8 billion in committed venture capital. For more information on Benchmark Capital, visit its website at www.benchmark.com. Based in New York City, FirstMark Capital (formerly Pequot Ventures) has established itself as a venture leader with a strong, national reach over its twelve year history. FirstMark invests in companies that are creating new markets with innovative technology solutions or rethinking existing markets by applying a novel business model. With nearly $2 billion in capital commitments, FirstMark's team of investment and operations professionals have decades of real-world experience and leadership in core technology markets, making the firm uniquely qualified to offer industry insight, relationships and the operational expertise to build lasting businesses. Select historical investments include: Netgear, Inc. (NASDAQ: NTGR); First Advantage Corp. (NASDAQ: FADV); StubHub, Inc (Acquired by eBay, Inc.); Netegrity, Inc. (Acquired by CA Inc); Flarion, Inc. (Acquired by Qualcomm, Inc.); OutlookSoft Inc. (Acquired by SAP AG); Analex Corp. (Acquired by QinetiQ); Vallent (Acquired by IBM); Syndesis (Acquired by Subex) and Navic (Acquired by Microsoft). For more information, please visit www.firstmarkcap.com. Riot Games, Inc. (www.riotgames.com) is an independent Los Angeles-based video game development company, funded privately and through leading venture capital firms Benchmark Capital and Firstmark Capital. The studio was established in 2006 to develop innovative online next-generation titles for consoles and the PC. Comprised of industry veterans with a shared passion for creating fun, innovative gameplay, the company is currently developing a cutting-edge game platform in conjunction with their first title, combining the best elements of the action role-playing and real-time strategy genres into a uniquely replayable and competitive multiplayer experience.